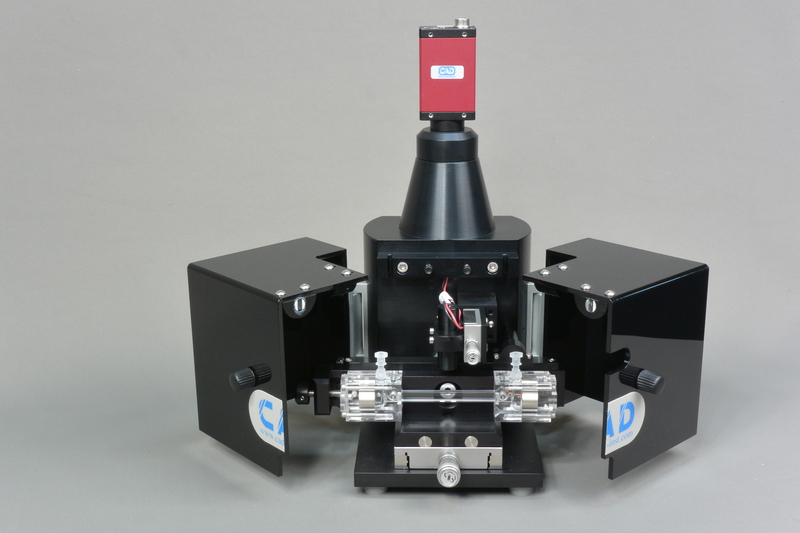 The ZetaCompact Zeta Meter measures the Zeta Potential distribution of particles in suspension using Image Analysis software. 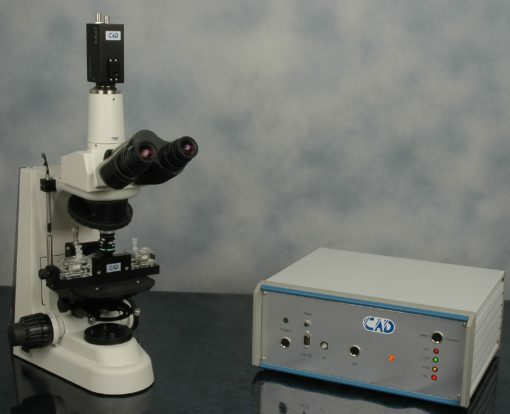 The measurement is fully automatic, up to 4,000 particles are tracked in seconds, and the distribution of Zeta Potential is recorded, with the best resolution available on the market. 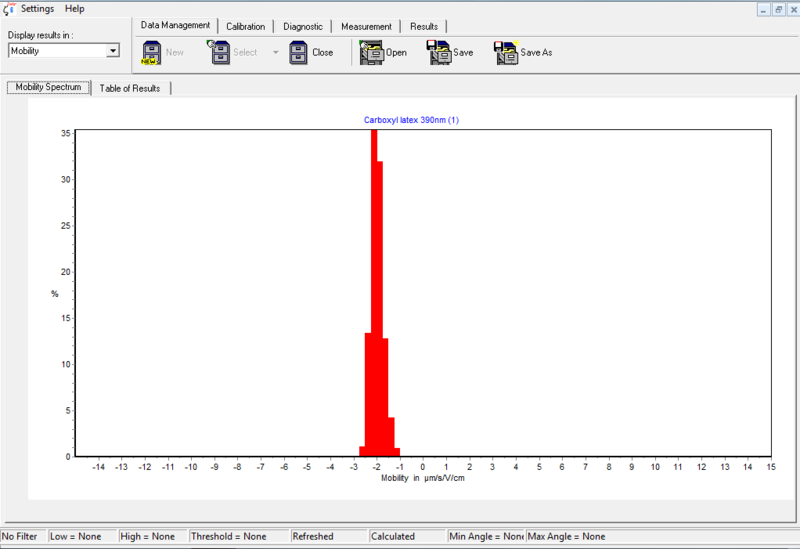 With live visualization of particles via a high resolution digital camera, the user can see the sample behavior. Not a “black box”. 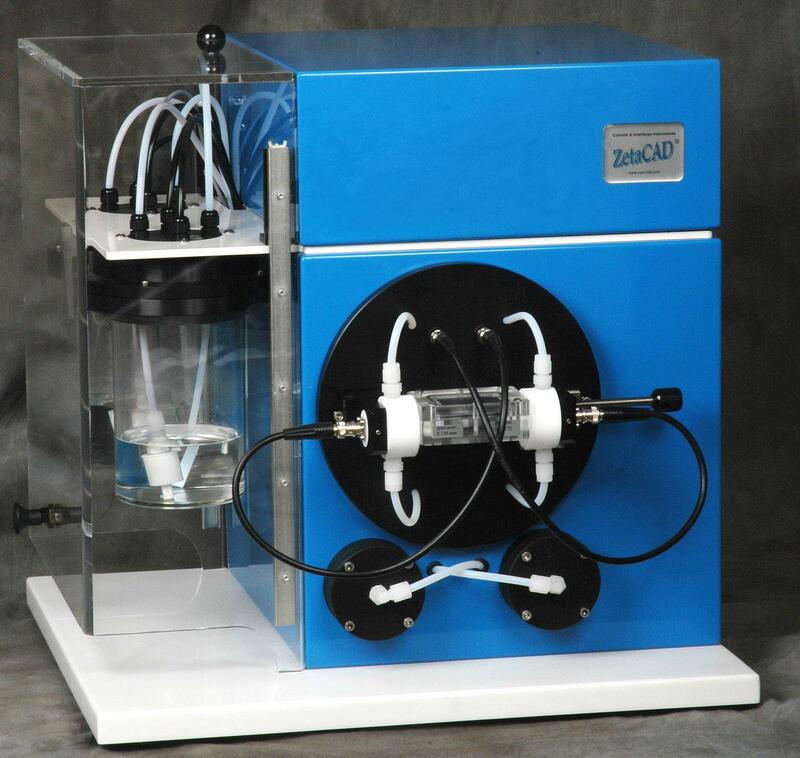 For water treatment it replaces the long and tedious Jar Test, and allows an optimum dosage of chemicals. 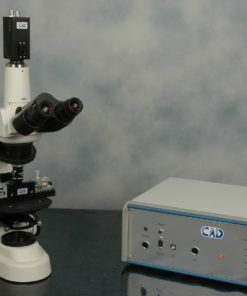 This instrument is recommended for most colloidal suspensions with particles from 10 nm to up to 50µm. 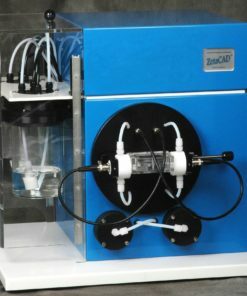 For applications where an organic solvent is involved, an optional measuring cell made of PVDF is available. Calibration: thanks to a positioning sensor with 1µm accuracy, the stationary layer can easily be calibrated with an unequaled accuracy. 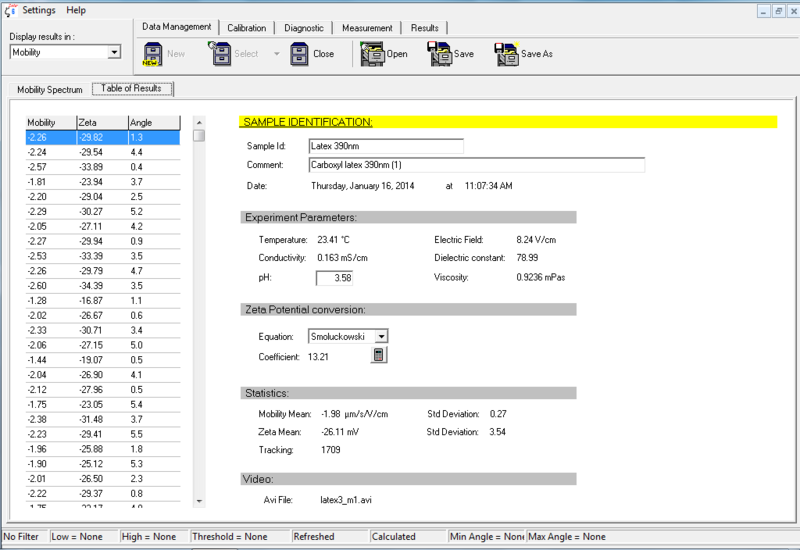 A simple process also allows the easy calibration of electrical conductivity and pH. 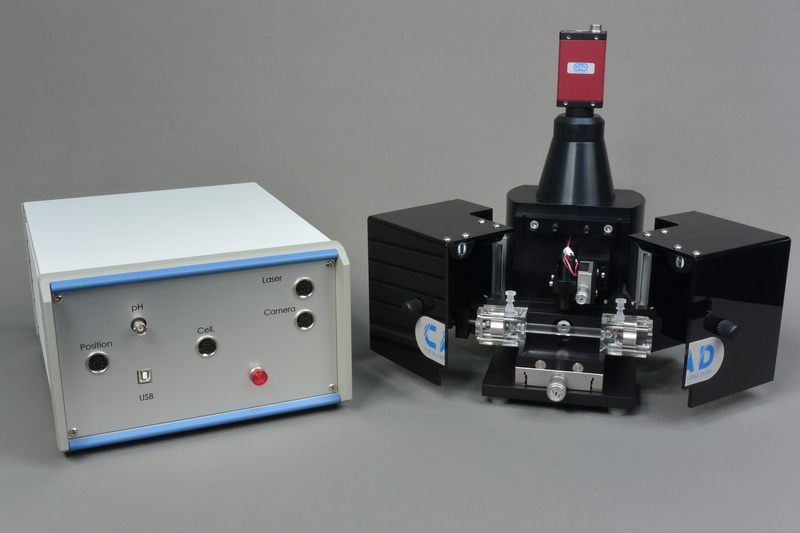 The measuring cell is built with two Palladium coated main electrodes to apply the electric field, two secondary Platinum electrodes to measure the actual electric field and conductivity, a fast-response micro-probe to measure the temperature, and a quartz cell (easily removable). The user just fills the cell with the sample. The suspension is illuminated with a laser diode allowing the detection of particles down to 10 nm. 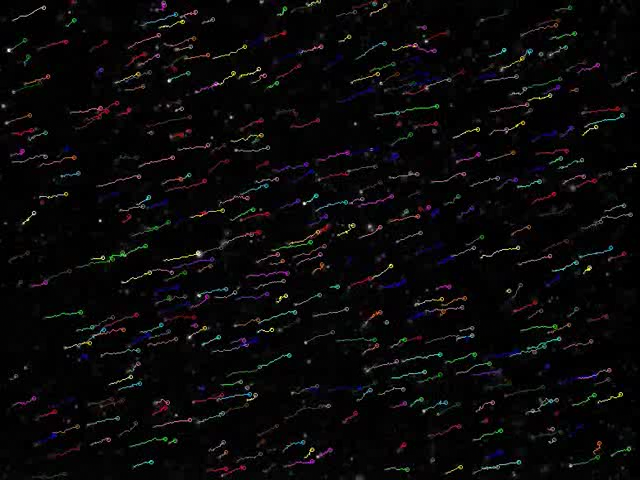 A high resolution digital camera allows live visualization of particles on the computer screen. The user starts the measurement: an electric field (user selectable to up to 250V) is applied, the particles move by electrophoresis. During the measurement a video is recorded via the digital camera. The Image Analysis Software (advanced Particle Image Velocity based on cross correlation of images) calculates the individual velocities of up to 4,000 particles, and the Zeta Potential distribution is computed, in seconds. The measurement is conducted in the vertical stationary layer; even particles that settle can be measured.